Today, I read a comment on my blog. The person who left me a message has made a parrallel between two of my articles: one from 2007 September 11, entitled "the conjunction of the cross and crescent" and the other in 2012 that evokes my three dreams about the Red Book. I said that the common point of these three dreams about the Red Book, was that my family was very interested in this book. Then, I give a detail of the second dream: I told my mother I got the book on May 8 (there is a small mistake: in fact it is: I intend to tell my mother and my father that I got the book on May 8) In my article I say that this date reminds me of the end of the World War. May 8 is the International Day of the Red Cross and Red Crescent Societies. The Red Book = illumination? I am at my work. I have the Red Book with me. My sister is in front of me. She seems very interested in this book. She has probably read a few pages. The book is as abandoned, in my work. I see it is slightly damaged, with dust. I work with colleagues, we take care of bank checks. It's time to put them in the office safe. 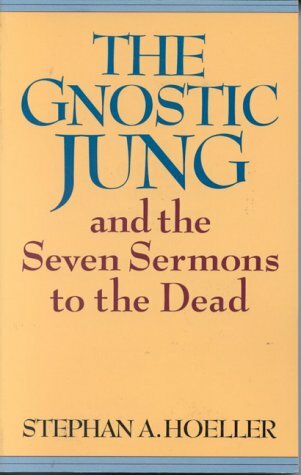 In the safe, I see a book: "The Gnostic Jung"
At the end of the dream, I think of Remo who was the bureau chief and is retired. I try to remember if I was present when he celebrated his farewell. I have not actually read the Red Book, except a few pages. I read several times the seven sermons, a complicated text. I do not understand how such a book could be useful for me. Set in 1532, the series follows the adventures of a young Spanish boy named Esteban who joins a voyage to the New World in search of the lost Cities of Gold and his father. Then, he explains how his visions appear. He explains clearly, slowly, and scientifically. He sits high on a monument. This monument looks like to aqueducts superimposed on each other. (I do not remember the name of the monument) Then I saw a vision in the sky. An old man (God?) has at the level of his belly, an old man smaller with a beard, as if it was his child. The grand old man has a symbol of the moon over an eye and the symbol of the sun above the other. A voice speaks. It seems to speak of Islam, I can not remember the names of which it speaks.(Ali?) Then the symbols begin to fade, I think the voice is trying to show me that the most important thing is the little old man. This vision is linked to Victor Hugo. Maybe this is the work of Victor Hugo. - I think of the Jung seminar vision. - Victor Hugo : his spiritual quest leads him to explore other than Catholicism. He reads the Koran, is interested in Druidism, Eastern religions and experiments spiritualism. - In a recent dream, supposed to take place in the United States, I follow a young blond child to the foot of his building. But the lobby of the building is a bookstore. It seems that the child has books with him. He is "Arabic". His name is Ali. Last edited by fox on Wed Sep 12, 2012 11:25 pm, edited 1 time in total. But 'Coran teint' is also 'Corentin' one of the founding breton saints (Etienne was from Bretagne, not far from Lorient - l'orient!, but Lorient is at the extreme west of Europe, though Bretagne is for me the most inner region of France, deeply rooted in the Eros world) etc.